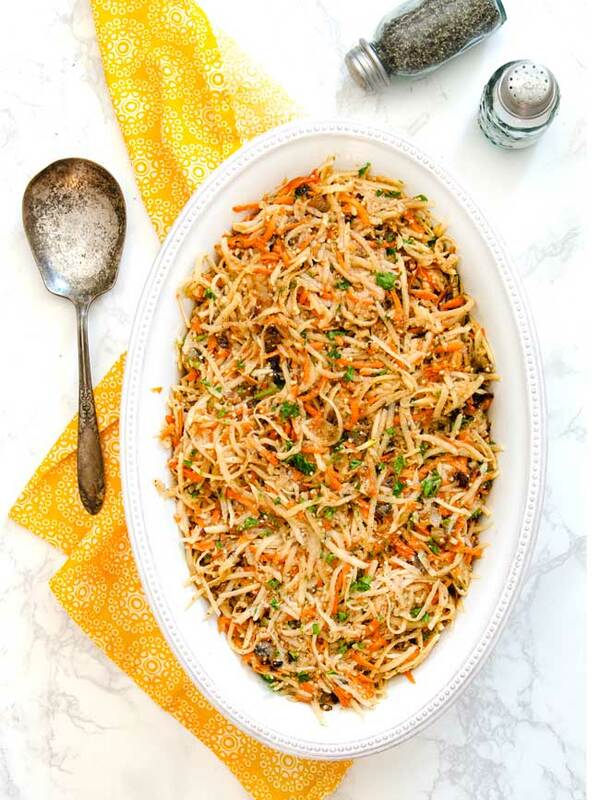 This potato kugel recipe will satisfy the traditionalists at your table but surprise your taste buds with a few new elements to lighten and brighten the dish. 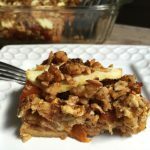 Matzo meal is used in this kugel, making it perfect for Passover or any meal where a comforting potato side dish is the perfect choice. 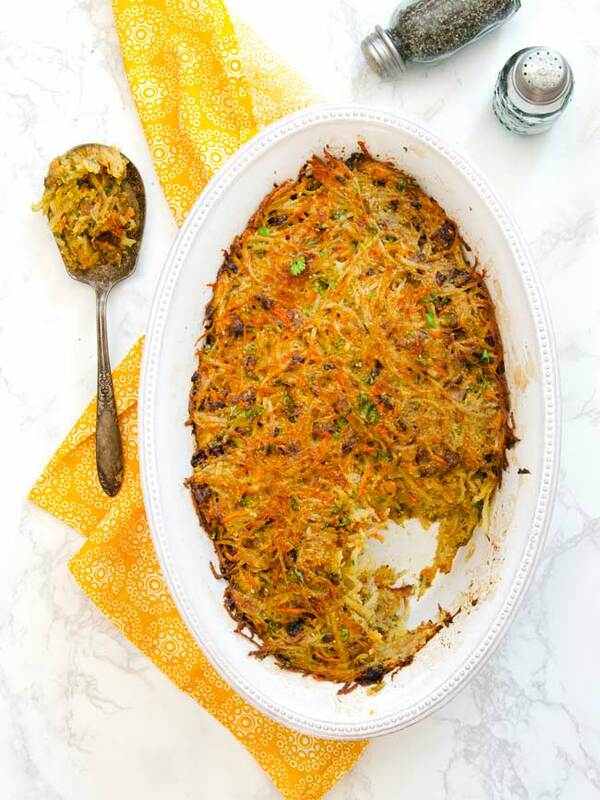 This potato kugel recipe has all the elements of a traditional kugel – the potatoes, eggs, matzo meal, and oil – with a few new additions to brighten it up, visually and for your taste buds. I’ve added carrots, parsley, za’atar (Middle Eastern spice blend) or thyme, and a bit of paprika or Aleppo pepper for the top. And all self-respecting potato kugels have a bit of crunch – I offer you a couple of cooking techniques to achieve this texture. 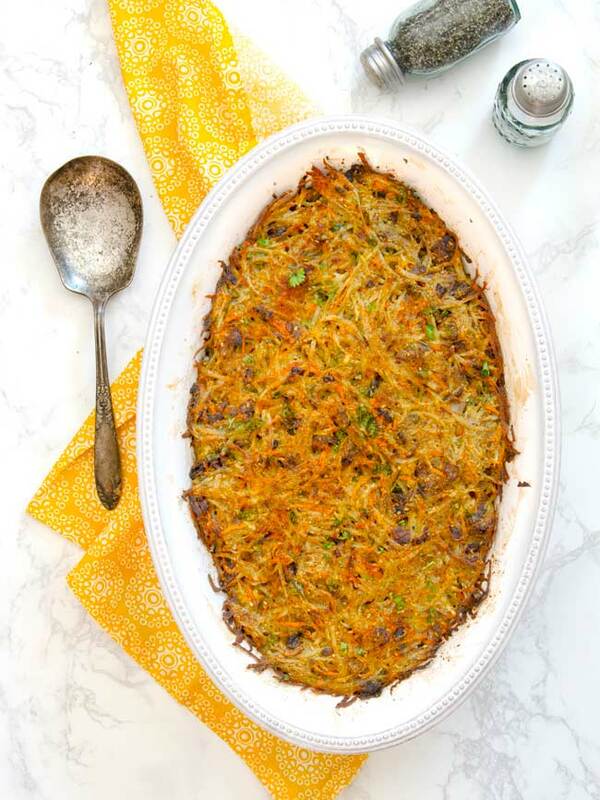 Potato kugel is a bit like a giant potato latke or pancake. 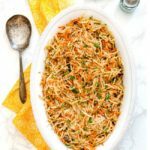 The preparation is similar in many ways, but the nuanced differences make it cook perfectly in a casserole dish and feed a crowd with ease. No frying just a few at a time! Do I Need to Strain the Liquid like a Potato Latke? In my version, I don’t strain the potatoes to make them perfectly dry as most would recommend for a latke. Instead, I peel the potatoes and let the whole potato soak in cold water while I finish the peeling and the potatoes are ready to shred. Once I start shredding, I put everything in a bowl together without straining the liquid. Any juice from the potatoes will carry some potato starch with it, which helps, along with the eggs, to hold it all together. There will be some residual moisture from the uncooked onions, I found this to be no problem at all. 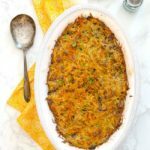 Is Potato Kugel Kosher for Passover? 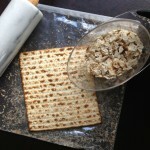 As long as you use matzo meal that is kosher for Passover, yes it is! 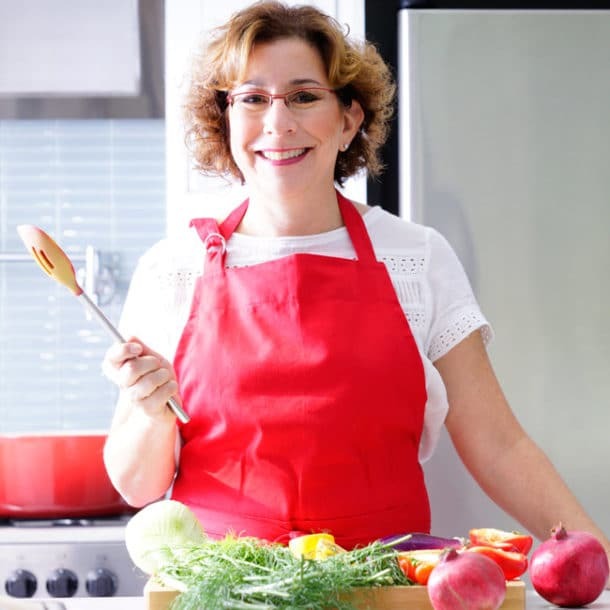 And as Kristin Posner suggests in her version of potato kugel, don’t forget to eat the leftovers with a runny egg the next day or I suggest trying a dollop of sour cream or yogurt. Kosher for Passover Note: If you use za’atar, it has sesame seeds in it which are considered kitniyot. More recent dietary laws are including kitniyot in the Passover food list. But if you do not eat kitniyot during Passover, leave out the za’atar and just use thyme. 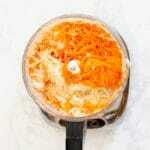 Can Potato Kugel be Frozen? Or Made in Advance? Many people recommend against making a kugel in advance. My experience is that cooking it earlier in the day that you plan to eat it works out just fine. I don’t think I would leave it uncooked in the refrigerator because the potatoes will continue to discolor. But I would cook it and then reheat it (covered so it doesn’t dry out) and then give it a quick run under the broiler to crisp up the top. As for freezing it, I’ve never had enough left over to do this! How can I Prevent my Potatoes from Turning Brown after Peeling? I let mine soak in a bowl of water after I peel them. When I shred, I dry the whole potato off before I cut them and slip them through the food processor grater. Get organized. I really like the extra flavor imparted from caramelizing some onions for this version. Caramelizations happens when you cook onions low and slow. So get them started and while they cook, you can prep the other ingredients. Different potatoes have different amounts of starch. I tested this recipe with russet potatoes. Other types might yield slightly different results. Preheating the casserole dish with oil is a great way to get a crispy bottom but be careful when you take this preheated dish out of the oven to add in the potato kugel mixture! What is Za’atar and Aleppo pepper? 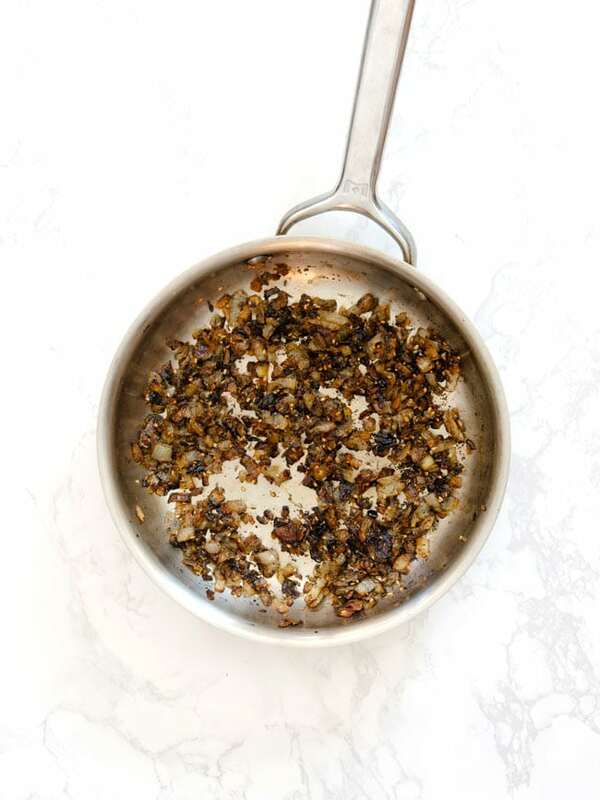 Za’atar is a middle eastern spice blend comprised of hyssop (a member of the thyme family found in the Middle East), sumac, and sesame seeds. The combination creates a beguiling earthy and nutty flavor that enhances the onions in this dish very nicely. 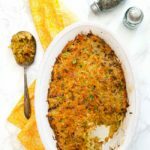 But if you don’t have za’atar, a little thyme will also add extra flavor without overpowering the traditional crispy potato and onion profile of this dish. Aleppo pepper is mild sun-dried red pepper that originates from Turkey and Syria with smoky sundried tomato overtones. Once you start using it, it will quickly become a staple in your kitchen. Try FamilySpice’s Persian Kookoo Sabzi – a perfect egg and herb frittata to serve for breakfast, lunch, or dinner during Passover season or anytime of the year. 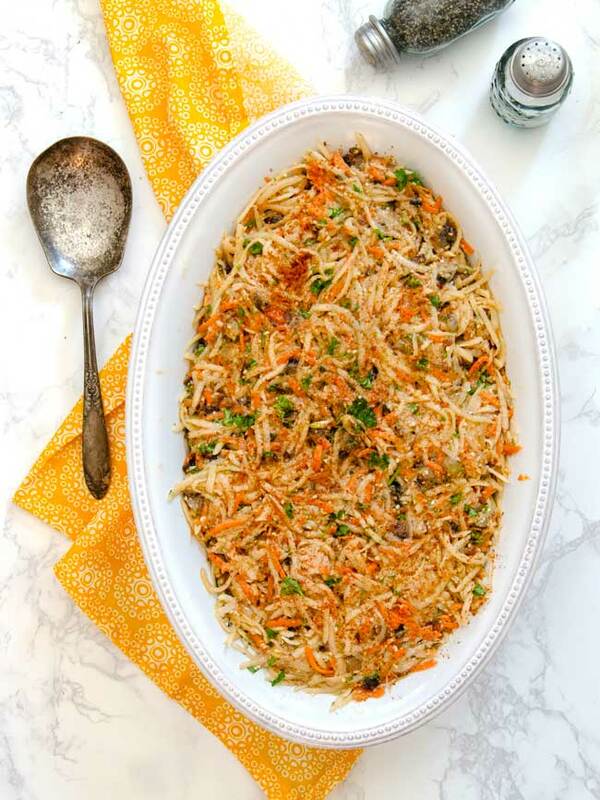 This potato kugel is perfect for Passover or any holiday meal. I’ve added a few elements to brighten and lighten the flavor while still delivering a traditional crispy potato onion flavor profile. Slowly caramelize the chopped onion in skillet using a couple tablespoons of olive oil. Let it cook low and slow – you don’t want to sear it but rather slowly caramelize them. If you have za’atar, add in a tablespoon while the onions are cooking. If not, add in a teaspoon of thyme and a dash of salt and pepper. Preheat your oven to 375 degrees. If you like a really crispy crust, add about 3 tablespoons of olive oil or vegetable oil to the bottom of your kugel pan and preheat the whole pan with the oil in it in the oven while you preheat. While the onions are cooking and the oven is preheating, shred the potatoes using the shredder disc of your food processor. 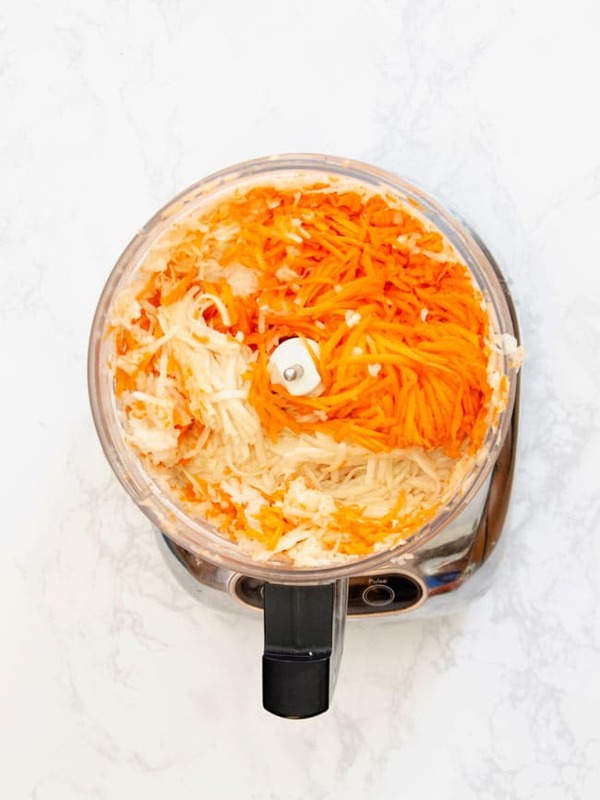 Shred the carrots and half of an onion as well. Put all the shredded vegetables in a large mixing bowl. Add the three eggs, ½ cup of flour or matzo meal, 1/3 cup of chopped parsley and the cooked and slightly cooled onions plus a quarter cup of the oil. Add a teaspoon of pepper and 2 teaspoons of salt (less or more as you prefer). Mix well. 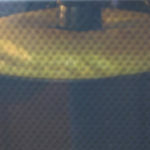 When the kugel mixture is ready, carefully remove the hot kugel pan from the oven. Put the potato mixture in the hot pan. Brush another 1-2 tablespoons of oil on top and sprinkle it either with Aleppo pepper or paprika for the color and the flavor. Bake for 1 hour, then broil it for about 3 minutes to really get that “burnt” top that my Aunt Trudy loved. The deeper your pan, the longer the kugel will take to bake. Shallower pan, slightly less time. Mmm, why save this for Passover? 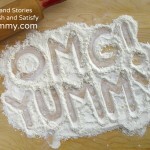 It’s delicious any time! Right? I always wonder why I compartmentalize foods into certain times of the year, especially when they are not seasonally drive by ingredient! Now this is the ultimate potato kugel. Bravo on all the detailed instructions and FAQs. Love the extra flavors. Coming from you, always a high compliment! I bet you have a great family recipe. 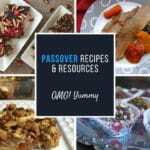 What a delicious recipe for Passover…it looks absolutely delicious! Thanks Sandi – I made it at our big Rosh Hashanah dinner and there was not a bite left! Looks so good! I’ve had noodle kugel, but not potato. Adding Zatar sounds wonderful.